We provide physical therapy in a healing yet challenging environment - the patient's home. 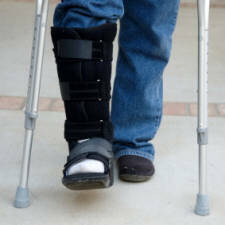 Climbing steps, reaching into cupboards, putting on socks and shoes, working in the garden and driving a car are challenging for a patient who can't move adequately. These and other "real life" challenges need to be overcome for the patient to fully recover. With support from a Mobile Rehab physical therapist, patients set their individual goals and work toward a successful return to daily activities. Do You Want to Heal at Home? Mobile Rehab physical therapists perform physical therapy evaluations, discuss and establish realistic goals, return for follow up treatments and assist patients to return to everyday activities. After lower back pain, dizziness is the second most common complaint. Joint surgery and orthopedic conditions such as knee and hip replacements, osteopenia, osteoporosis, fractures and sprains/strains can cause loss of mobility, strength and stamina. Everyday activities can be difficult, if not impossible, to perform. Usually accompanied by pain, weakness, swelling and stiffness, these conditions respond well to soft tissue massage, manual stretching and supervised strengthening. Treatments focus on decreasing pain and swelling while increasing range of motion and strength. Neurological conditions include stroke, cerebral palsy, traumatic brain injury, multiple sclerosis, Parkinson’s, spinal cord injury and others. Injuries and diseases associated with the brain, spinal cord and nerve roots disrupt communication between the brain and muscles. This can result in a specific or general loss of sensation and controlled movement. For neurological conditions, Mobile Rehab Physical Therapy offers traditional physical therapy, Constraint Induced Movement Therapy (CIMT) and Saebo dynamic orthosis fit and train. 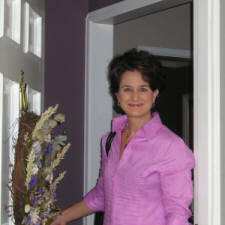 Our CIT and Saebo trained physical therapist, Tami Toms, is available to talk with patients about their needs. Prior to seeking physical therapy, patients should consult an otologist to determine the precise cause of dizziness. Mobile Rehab can provide a list of otologists who refer for physical therapy. The vestibular system is housed in the inner ear. It works in conjunction with visual and sensory systems to control balance and orientation to space. Problems with the vestibular system may cause the person to feel dizzy (also known as having vertigo), nauseous or off balance. One of the most common causes of dizziness is Benign Paroxysmal Positional Vertigo (BPPV). In this case, dizziness is usually brought on by moving the head to look upward, moving the head right or left, or lying on one side in bed. BPPV responds well to physical therapy treatments and is often referred to as vestibular rehab. Vestibular rehab combines exercises and positioning techniques that help improve the function of the vestibular system. On the initial visit, our physical therapist trained in vestibular rehabilitation will perform a thorough evaluation of the vestibular system. A treatment program will then be designed on an individual basis, depending on the specific problems and symptoms. 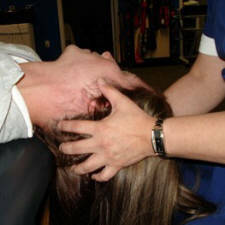 Some problems can be treated in as little as one or two treatment sessions using special head positioning maneuvers. Additional sessions to teach a balance exercise program may be beneficial. People usually don’t think about balance – until it’s lost. 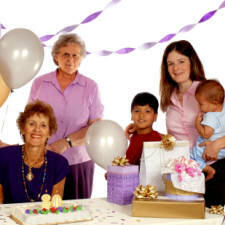 Seniors are the most affected, yet it’s a common myth that "getting older" is the sole cause of poor balance. Unsteadiness often begins with the need to hold a companion’s arm or "furniture walk" (touching furniture to remain steady). Underlying causes for a decline in balance can include changes in vision, vitamin deficiencies, stroke or nervous system impairment, vestibular or proprioceptive. In many cases it’s possible to restore balance, return to most activities and reduce fall risk. Even for those who have had falls, effective treatment directed at the underlying cause of the fall can often restore balance for basic activities. Using proven therapeutic techniques, Mobile Rehab skilled therapists assess the vestibular, proprioceptive, and muscular systems. Together, the therapist and patient work toward goals of walking, exercise and a return to everyday activities. Caregiver aides are responsible for patient safety and comfort, yet aides are at risk for injuring themselves or the patient. Our physical therapists will assess the skills of an in-home aide and report our findings to the patient and/or to the patient’s family. Assessment and additional training include proper techniques for gait, transfers, bed mobility and home exercises. Mobile Rehab physical therapists have advanced expertise in exercise and medically based fitness. We provide personal training in a client’s home, workplace or at an outdoor park. Sessions focus on building a routine that matches the client’s level of fitness. Routines focus on the client’s goals and may include training to improve strength, endurance, flexibility, and balance. Training is fun, safe, and innovative so it’s enjoyable yet effective. Mobile Rehab supplies portable exercise equipment or clients may choose to use their own equipment. The path of aging can be difficult to navigate. 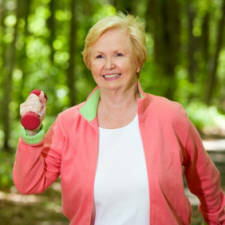 Mobile Rehab physical therapists understand that this time of life requires special attention. With our help and support, seniors and their families can understand medical conditions, communicate with family physicians, reduce fall risk, achieve or maintain independence, remain at home or transition to assisted living. Seniors and their families can receive training in proven techniques that slow the age related decline in mental function. Our therapists can set up a customized brain fitness program to improve memory and overall brain function. Go to BRAIN FITNESS news. People spend the majority of their time in the workplace. The office worker is at risk for neck, arm, and back pain. Being sedentary at work can lead to health problems, reduced concentration and productivity, or lost work time. A Mobile Rehab physical therapist, certified in ergonomics and workplace activity programs, is available to discuss the needs of the organization and propose a plan for employee health and safety. By causing neurons to "rewire" themselves, CIMT not only changes the brain, it changes lives. at home among people age 65 and older.